Team Dakshini is presenting the only program with an ALL 2nd generation cast! Best wishes to the kids! Our sincere wishes, support, and encouragement to the future of tomorrow - as usual making us proud and retaining our culture! 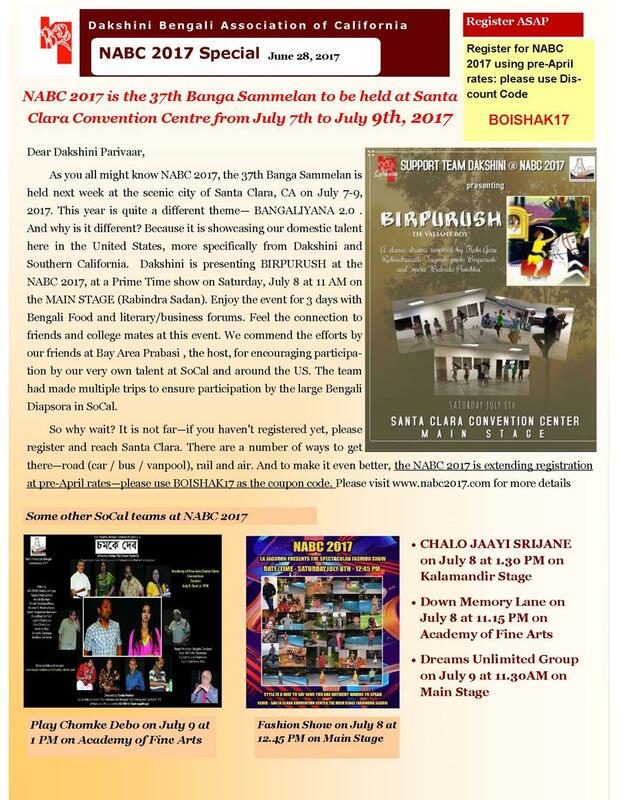 You are here Communication Latest News Dakshini Mailing List June 2017: NABC 2017 Update: register and watch our local talents perform.